Contemporary wars are largely wars of influence and they will not necessarily be won by those with the most information or the most accurate data. They will be won by those effectively tell the meaning of the information and what difference it makes for the audience. “Dr. Ajit Maan is arguably the world’s foremost authority on the narrative underpinnings of warfare. In this brief and highly readable collection she focuses on specific hot-spots, specific policy interventions, and specific international challenges and offers actionable solutions. This is a clear and concise manual that should be read by every policy maker, every military strategist, and anyone involved in diplomacy." The authors of this book are uniquely qualified to analyze the contemporary security landscape and promote necessary and pressing change. Each is a thought leader in his or her field. 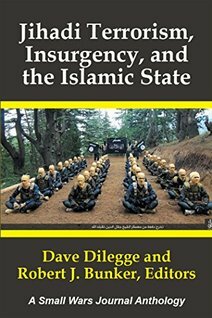 Four out of six authors are seasoned military professionals who share the view that the over-reliance on kinetic approaches over influence operations account for some of the failures of nations against extremists. 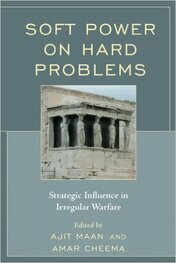 Combined with civilian academic leadership this book is a practice in military civics. This collection of international perspectives, taken together, challenge commonly held assumptions and outmoded paradigms of engagement. 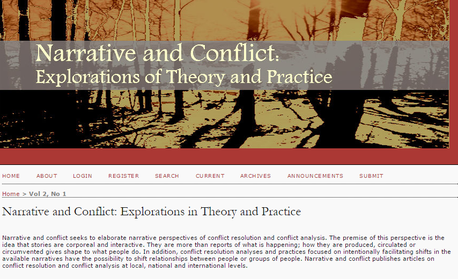 We wish to dedicate this collaborative effort arguing for a more profitable approach to ending and pre-empting conflict as a fitting, living tribute to our Dear Friend, Colleague and Co-Editor, Brig. Amar Cheema, the consummate Soldier, Scholar and Gentleman. Brig. Cheema embodied the concept of "no one appreciates peace and stability as much as a Soldier." Editing and Co-authoring our book focused on using all elements of National Power to achieve and sustain stability is an apt legacy for our Dear Friend. Understanding and harnessing the persuasive powers of narrative is central to U.S. and international counter-terrorism efforts. There is an urgent need to understand the narrative tactics of terrorist recruitment and an equal if not greater need to destabilize and exploit the weaknesses of those narratives. Maan makes a connection, unique to terrorism studies, between the mechanisms of colonizing narratives and psychological warfare aimed at the recruit. The power of both relies on misidentification, both types of narratives encourage individuals to take actions contrary to their best interests, and both are insidious: they are continued internally without the implementation of external physical force. 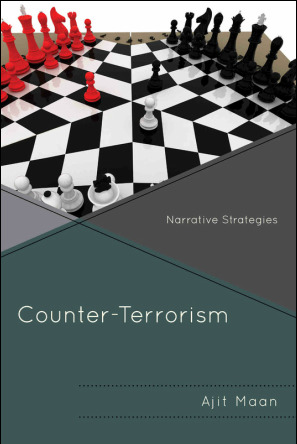 While these narrative strategies have been powerful, Maan makes the argument, also unique to terrorism studies, that certain types of compositional structures lend themselves to manipulation and the weakness of those structures can be exploited from a security standpoint. 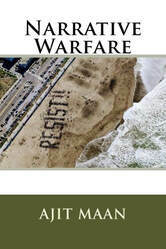 "Ajit Maan is a philosopher who, in this book, addresses the problem of terrorism as a narrative problem. She endeavors to think about how to undermine the terrorist narrative, particularly its “recruitment narratives” (p. 5), and to win the battle of ideas, rather than the military battle. 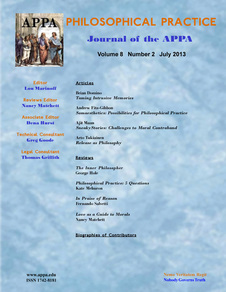 This is an important task to which the disciplines of philosophy can helpfully be applied." 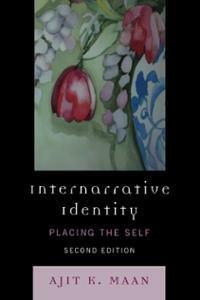 Based upon Ajit Maan's work in internarrative identity, this book deals with one's sense of self as expressed in personal narrative, connecting the formation of identity with life experiences. 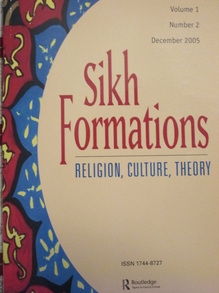 This book is the first extensive examination of the adaptive qualities of Maan's work within diverse areas of scholarship and practice, including cultural studies, gender studies, computer gaming, and veterinary medicine. United by their research application of Maan's theory, these scholars demonstrate the far-reaching implications of internarrative identity. 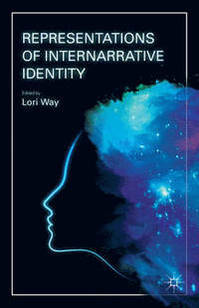 "Internarrative Identity confronts us with deep questions about personal identity and about how we are to trace the significance of a person's life....urges us to rethink the range of ways available to us for making of who who we are and how we﻿ ought to live." "I like books that teach me something embedded in a story. This book does that. It packs a lot of smarts that make the reader feel like an insider in the life of a past literary world. All wrapped up in a mystery of discovery. 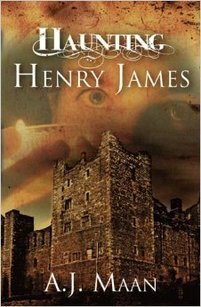 The language wonderfully evokes the time and place of the story. You'll enjoy ﻿it!" 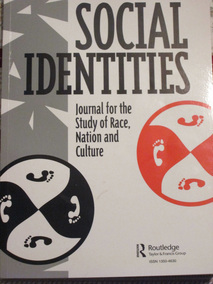 - Chapter 29: "ISIS is Not a Terrorist Organization"
- Chapter 33: "Narrative: The Critical Component of Counter-Terrorism Strategy"
"Post-Colonial Practices and Narrative Nomads"
Native American and Chicano/a Literature of the American Southwest: Intersections of Indigenous Literature by Christina M. Hebebrand. Routledge, 2004. Listen to Ajit Maan's podcast interview with Scott Mann for The Mann Up Report titled "Narrative Strategies to Fight Terrorism; Episode 44 (Part 1) is from June 8, 2017 and Episode 45 (Part 2) is from June 22, 2017. Susan Santiago's second interview with Ajit Maan for Pieces of Peace for KWMR radio (April 28, 2016). Listen to Ajit Maan's interview with Susan Santiago on Pieces of Peace for KWMR radio (April 30, 2015).